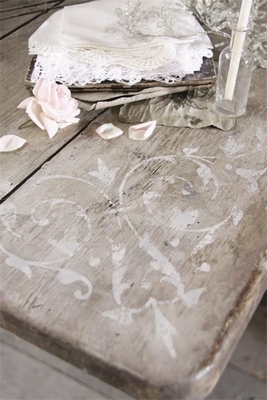 Lovely paintable template by Jeanne d'Arc Living, approx. 24 x 46 cm. Very suitable for corners, but looks great in other places too! Great to use with the Jeanne d'Arc Living chalk paint. Instructions included.